Plans for more than 200 new homes in Whitehawk are due to go on show next week. The 217 homes are to be built as part of the £120 million joint venture between Hyde Housing and Brighton and Hove City Council. 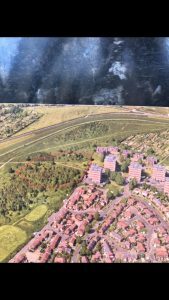 The joint venture, called Homes for Brighton and Hove, said: “Come and have your say on our proposal to build affordable homes in Whitehawk. “We are holding a public exhibition to show our proposal to build homes on the land adjoining Brighton Racecourse in north Whitehawk. Homes for Brighton and Hove said that the joint venture would mean 400 full-time construction jobs and that it would inject £350 million into the economy over the next five years. 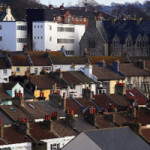 Homes for Brighton and Hove said: “Our aim is to create 1,000 new homes for rent and sale, specifically for lower income, local working households in the city of Brighton and Hove. “Brighton and Hove is a growing city with high housing prices, low incomes, an ageing population and a significant proportion of households with support needs. “We want to create new developments entirely focused on affordable housing, with new homes available for rental and shared ownership. “We pride ourselves on working with the community to ensure we deliver a scheme the local community can be proud of. “Each home will have a private balcony or garden. Each home will have generous windows to gain maximum benefit from sea views and natural light. They will also face on to parking areas and the natural landscape. The homes would be well insulated to reduce the amount and cost of energy needed to heat them, keeping bills low. And the jot venture promised environmentally friendly building materials which relate to the surrounding area and have minimal impact on the surrounding landscape. The plans include realigning some paths and surfacing the “Elm Grove link path”. 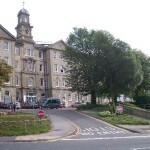 For more information, visit www.hyde-housing.co.uk/whitehawk. If it is a joint venture will the Council remain freeholders and if so will Hyde have to pay half the Ground rent?